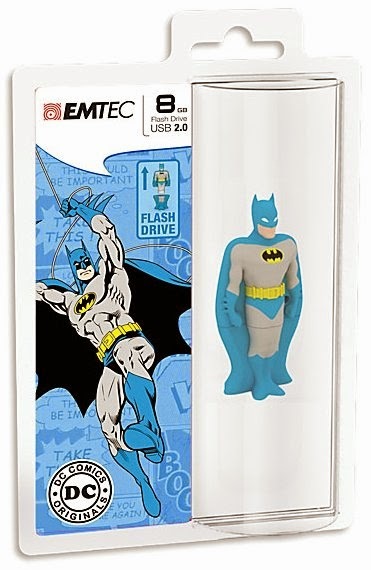 She's Fantastic: DC Comics SILVER AGE CATWOMAN Flash Drive! DC Comics SILVER AGE CATWOMAN Flash Drive! 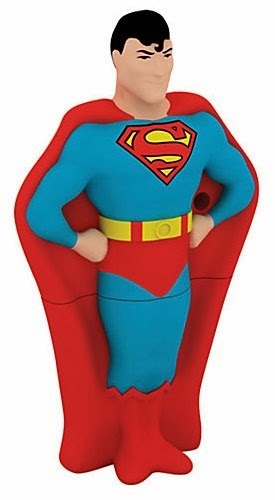 I think it's interesting how action figure lines are more and more forced to portray DC characters in their most modern incarnations, but all other merchandise has seems to dive back into Silver Age territory. I've seen so many products with the circular "DC Comics Originals" logo on it in the past few years. I have notebooks, folders, magnets, etc etc. All novelty and office stuff. These thumb drives, however, seem to be some of the first fully sculpted items we've seen. And I'm proud to report that they're pretty awesome. The figures (Catwoman, Wonder Woman, Batman, and Superman) are made out of a colorful semi-flexible rubber, very similar to those Japanese collectible erasers that you see everywhere. They all seem to be 4GB, although the packaging on the promotional photos say 8GB. I've never been tempted to buy other collectible USBs (like the Mimobots), but now I may want to just so I can have a tiny sub-collection of Catwoman USBs. In my obsessive mind, it takes three to make a collection so we need one more tech company to jump on the bandwagon. In the meantime, let's check out the Catwoman USB below! These Flash Drives come packaged in a clear clamshell packaging. 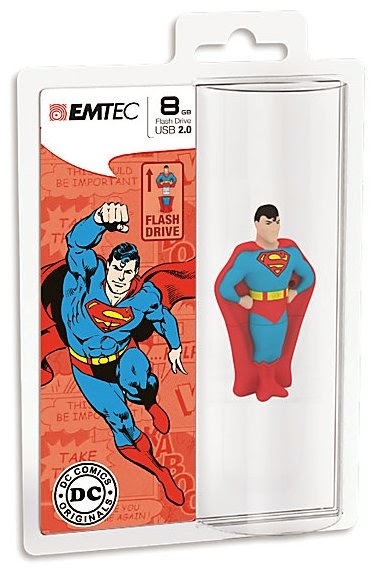 My Office Depot had them on a short stand-alone display in the middle of an aisle along with all Emtec's other cartoony USBs (lots Looney Tunes). The Office Depot Website has them listed at $14.99, but in-store mine was $9.99. The hole near her left elbow is to attach a small keyring chain. She came packaged with temporary tattoos! Here is the keyring chain with a little Emtec charm. (I think they might be exclusive to OD, but not 100% certain - all online references seem to point back to that store). 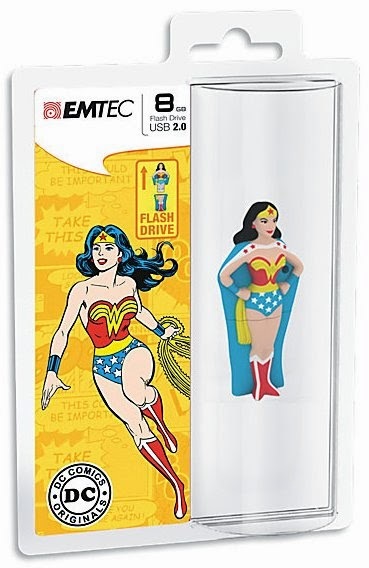 The Wonder Woman Flash Drive was also reviewed on ExperienceTheWonder.com. That's pretty cute - wish they made a Harley version! I don't think I've ever seen a Harley item in the DC Comics Originals brand. Seems unlikely because she's a (relatively) newer character. If we get any more, I'm sure we'll see Batgirl and Joker at least. It seems capes (or Joker's trenchcoat) are necessary to add bulk to the sculpt.